Dear Readers and fellow Losties...I didn't want to write this post. You can see by the date of this post, that I started it on May 24th, the day after the finale, but I just couldn't hit the "Publish" button until now, almost two months later. How pathetic is that? My reaction to the end of the show, as a weekly social experience and mind-challenging puzzle, surprised me. I was in complete denial. I felt like if I finished my post and published it, that would mean I would have to accept that this wonderful ride was finally over, and I don't want it to be over. Jack: "I don't understand... you died..."
Christian: "Yes. Yes, I did." Jack: "Then how are you here right now?" Christian: "How are you here?" Christian: "It's okay... it's okay son." Jack: "I love you, dad." Christian: "I love you too, son." Jack: "You... are you real?" Christian: "I'm real. You're real. Everything that's ever happened to you is real. All those people in the church... they're real too." Jack: "They're all...they're all dead?" Christian: "Everyone dies sometime, kiddo. Some of them before you, some... long after you." Jack: "But why are they all here now?" Christian: "Well, there is no 'now' here." Jack: "Where are we, dad?" Christian: "This is the place that you... that you all made together, so that you could find one another. The most... important part of your life was the time that you spent with these people. That's why all of you are here. Nobody does it alone, Jack. You needed all of them, and they needed you." Christian: "To remember... and... to let go." Jack: "Kate... she said we were leaving." Christian: "Not leaving, no. Moving on." Jack: "Where are we going?" Christian (smiling): "Let's go find out." Early on in Season 1 and 2, I was a fierce proponent of the Purgatory Theory as an explanation for what was going on with LOST. Not that I believe in Purgatory, in my own real life, but I thought the literary device would make for interesting storytelling. My version of the theory, was that they all died in the plane crash, and the island was a type of purgatory where they could have a second chance at redeeming their past mistakes, making peace with the past, rising to the occasion to become better people and make the right choices this time around. Then, once everyone "got it" and those who were truly evil were punished - boom - they'd be back on the plane, alive with a real-life second chance to live their lives better and make better choices, after all their lessons learned and growth from going through the purgatory-type therapy. What a surprising, hope-filled ending that would have been. I liked the idea of a gracious God giving them a second chance after a near-death experience clarified what their priorities should really be, after their whole lives on the island actually passed in the blink of an eye as they nearly crashed, or something like that. I liked the Twilight Zone type feel for that plotline. All those themes of redemption and tabla rasa were there from the beginning, and the island was strange enough, it could pass for a bizarre limbo or purgatory. I was excited about this plotline, however, the writers took us in other directions and I reluctantly abandoned my theory. And it was very Twilight Zone-ish for them each to have to "wake up" or come to the realization that they were dead, to be able to shed the last of their attachment to their old life on earth and move on into the afterlife or heaven. It reminded me of classic ghost stories, where the deceased person couldn't move on to the afterlife or heaven because they were in denial about being dead, or just didn't realize they were dead, or were waiting to be reunited with a loved one before they could move on. I also like the idea of them making peace with their remaining flaws or hurts, taking care of unfinished business, before they could wake up and move on. But this all leads to a few things that I disliked, or left me a little uncomfortable or dissatisfied, about this show and its dealings with eternal truths and the afterlife. Even though it was nice to see Jack rise above the problems with his father, and become a good father to his own son, and make the right choices, and it was nice to see Ben, when presented with a moral dilemma, to choose to protect his surrogate daughter instead of advancing his own selfish agenda, but all of that was bittersweet, once we realize that none of it ever really happened. Jack's son, David, doesn't even exist (as far as we know). Was Jack's son just a construct of Jack's subconscious to give him a vehicle to get over his daddy issues? I think that's probably the case, since Jack's dad tells him, "This is the place you all made together, so you could find one another." So, does what we do in the afterlife count too? Because if you ask me, this was just a bunch of ghosts or spirits playing at shadows of their former lives until they woke up to the reality of their situation. The show often repeated the phrase, "Whatever happened, happened." but does that mean the choices they made in the afterlife count too, and actually happened, even though it was occurring in a fake reality? This show started out as a group of people who survived an airplane crash, and learned to live together or die alone in a strange environment. Very early on, the show started asking or toying around with the "big questions of life" - Why are we here? Are our lives governed by fate or by faith? Is there an absolute good or an absolute evil? I don't mind a show that plays around with these ideas, because it makes you think and stimulates a good discussion. (I mean, it's prompted me to write over 50 blog posts.) And it reflects the human condition - we all have an innate desire to find answers to these questions. In the early seasons, they initially seemed to give definitive answers to some of those questions. Well, maybe I should rephrase that, because this show hardly ever gave definitive answers. Let's just say they put forward strong theories towards the faith vs. fate, good vs. evil type issues and were leaning towards somewhat definitive lines. But then something happened. I would have loved to been a fly on the wall to see if the writers argued over the issue of ultimate good, ultimate evil, spirituality, and what that would look like on their show. It seems the first few seasons, the story was told from a simplified Christian worldview, but later, and especially in this final episode, I feel like they hedged on the very things they committed to and turned towards a very post-modern, politically correct, fuzzy approach to the spirituality of the show. To say the characters needed to "let go" and "move on" sounds like New Age lingo, and even Eastern religions that think you "move on" to the next level of spiritual enlightenment or "move on" to the next reincarnated life. The set designers (who I'm sure were prompted by the writers and showrunners) also felt the need to place every religious symbol in the room where Jack and his dad meet and in the stained glass window of the church. It bugged me that they were trying to be all-inclusive, and equivocate on some of the morality rules they'd set forth in the beginning of the show. One could argue that this show was always about blurring the lines between good and evil, but I don't think that's true. I think LOST started out with the premise that everyone is evil or has a dark side, even the people who appear to be good, and that this aspect must be corrected or redeemed. Then that slowly turned into the idea that there is no white or black, good or evil, but only gray. At first blush that may sound very similar in thought but it is actually a much different supposition altogether. In my opinion, they needed to pick one of those two approaches and stick with it. You can't have it both ways. So, to summarize, I liked the "everyone in heaven" part of the finale and I think it was executed well and was satisfying on a basic literary, storytelling level, even though I feel like it brought to light some underlying flaws in the overall show. On the plane, at the beginning of this final season, Rose leaned over and told Jack "It's okay, you can let go now." When we first saw that, we thought she was referring to him bracing himself through the turbulence. Now we know she was telling him it was okay to let go and die and pass on into the afterlife. I'm not sure if I can "let go" of LOST just yet... I have two more posts to go (discussing the most heartbreaking moment, and the funniest moment). Until then, if you still feel like discussing the show (even though it's two months past now), please leave me a comment and let me know what you thought about the alternate timeline actually being the afterlife. I'd love to talk about this more, especially the idea of a piece of literature or a story establishing the rules by which it will operate in, and then proceeding to break all those rules. Sometimes this is done intentionally, for effect, to serve a deeper message, and other times it is the result of inconsistent writing. Can you guess which one I think was the case with LOST? I've never heard of Shaman's Harvest before and I know little to nothing about the band. I just happened to discover this song on the radio, on the rare occasion when I was actually listening to the radio on the way home from work. All I do know, is that this song rocks. It's pure solid rock, with a nice little blend of southern rock mixed in, and it has an excellent groove and build-up. As far as the lyrics go, I think he's bemoaning the state of the world, as well as his own sinful nature, and asking what can be done about it. I know the answer to that question, but I have no clue why he thinks it has something to do with a dragonfly. Maybe it's slang for something that I'm not cool enough to know about? Either way, crank the volume and enjoy the crunchy rock goodness! As a professed Disney fan, I couldn't let this pass by without giving it a moment on my blog. 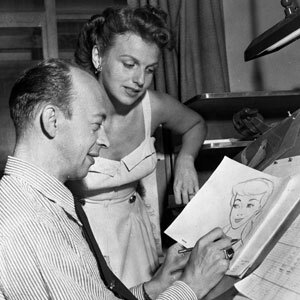 Ilene Woods, the voice of Walt Disney's "Cinderella", passed away on Thursday, July 1, 2010 at the age of 81. It feels like maybe a little of the Disney magic is gone now too, since she was such a big part of bringing Cinderella to life. The animators used an actress in a costume to sketch from and capture the movements of Cinderella, but in my opinion it was Ilene's voice that truly gave Cinderella her heart and soul. As you listen to her speak (and sing), it was easy to believe that she was kind to all creatures, forgiving and loving, sweet and good and full of hope and dreams. I think all of the songs in Cinderella are beautiful, but I've posted the video for "Oh Sing Sweet Nightingale" because I think it shows off her singing talent the best. Here's a little background on the song, which I found in her tribute on D23 (the official Disney fan blog). If you have a minute, click on the link and read the article. It will be worth your time. During recording sessions, Walt would drop by to offer suggestions, including asking Ilene if she could harmonize with herself on "Oh Sing Sweet Nightingale." She later recalled, "It was such a beautiful sequence — Cinderella scrubbing the floor and each time a soap bubble would rise with another image of Cinderella, so would another voice. When we heard the finished product, Walt kidded, 'How about that? All of these years I've been paying three salaries for the Andrews Sisters, when I could have only paid one for you!" Ilene may be gone, but it makes me smile, to think of the generations of kids yet to come, who will be enchanted by her sweet voice, and stare in wonder as Cinderella gets her magical ballgown, or even when she sings into the soap bubbles. Sweet dreams, princess! Thank you for lending us your song.